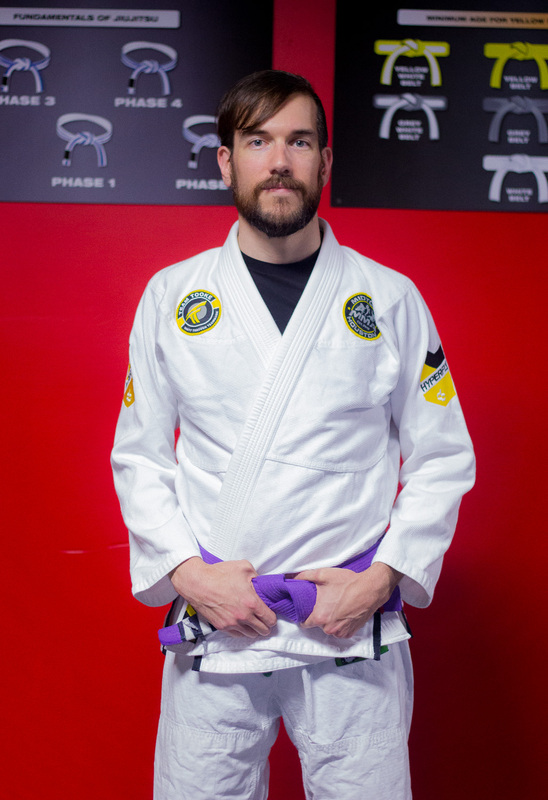 Andrew Degar is a Brazilian Jiujitsu 4 stripe Purple Belt. Coach Andrew assist Professor Chris and instructs our No Gi Program. Andrew began his training in jiu-jitsu in 2009, under the Valente Brothers association. When he received his blue belt in 2010, he began assisting in kids classes. He moved to Savannah, GA, training under Michael Sergi, teaching both no-gi and feather weight classes. After receiving his purple belt; he trained at Alliance Headquarters under Master Jacaré, while pursuing his PhD in Pharmaceutical Sciences. After completion of his doctoral work; he moved to Houston and began training at Midtown MMA, furthering his goals as an instructor.